UMBC is again one of the top ten national universities in both undergraduate teaching and innovation, according to the 2019 Best Colleges rankings released today by U.S. News & World Report. 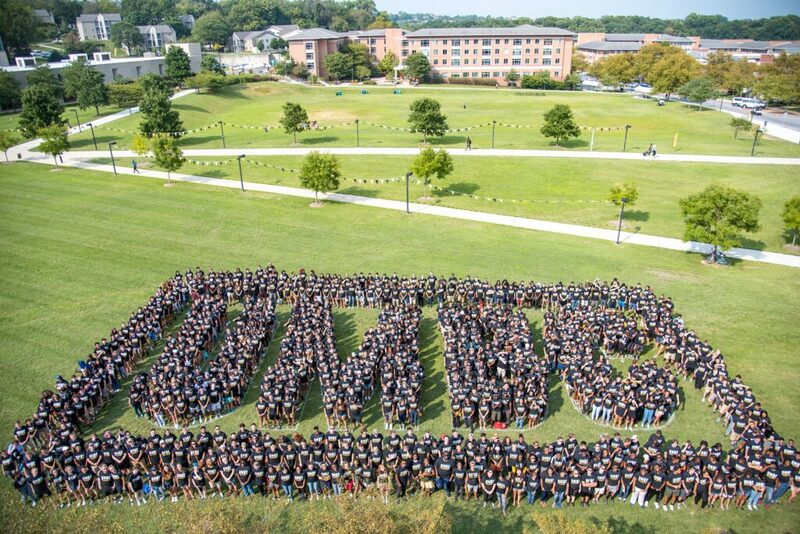 This news comes as UMBC welcomes its largest-ever class of nearly 3,000 new undergraduate students. Students spell out the letters “UMBC” during Welcome Week. Photo by Poulomi Banerjee ‘16 for UMBC. 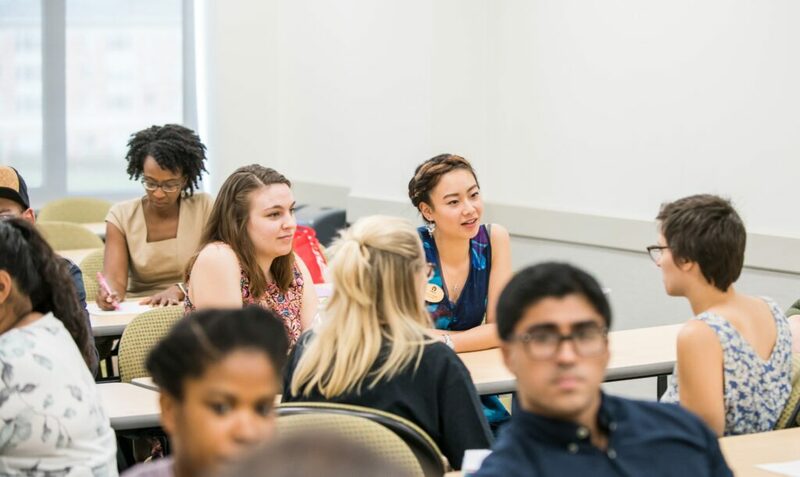 U.S. News ranks UMBC as #8 nationally on its closely-watched list of universities with a “strong commitment to undergraduate teaching,” alongside Princeton, Dartmouth, Brown, and Rice, and ahead of Duke and the University of Virginia. 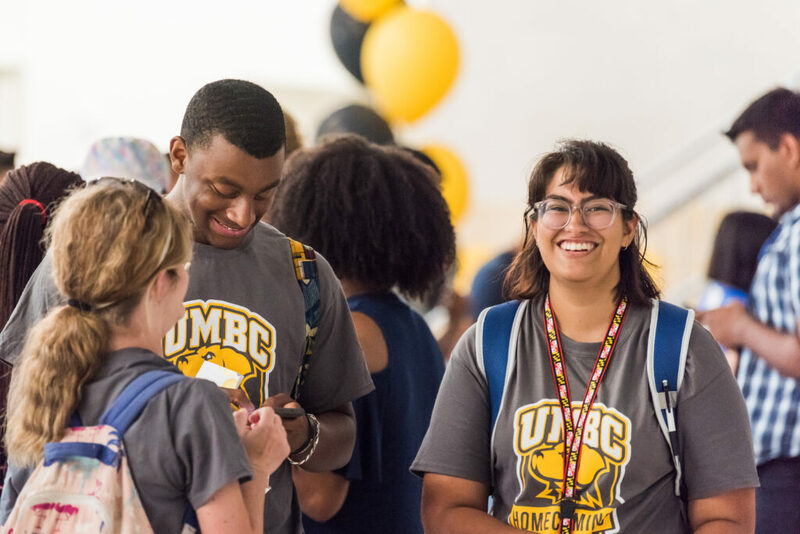 UMBC is #9 on the list of Most Innovative Schools in the country, alongside other research universities including MIT, Stanford, Carnegie Mellon, UCLA, and UC Berkeley. The “most innovative” distinction highlights colleges and universities making leading-edge improvements in areas from curriculum to campus life to technology. UMBC students discuss the upcoming Critical Social Justice: Ignite event at a workshop organized by the Women’s Center at UMBC. These honors will sound familiar to many across the country, given the number of years UMBC has been recognized as a leader on both U.S. News lists. They remain an exciting point of pride for #RetrieverNation, demonstrating the staying power of UMBC’s vision of inclusive excellence. 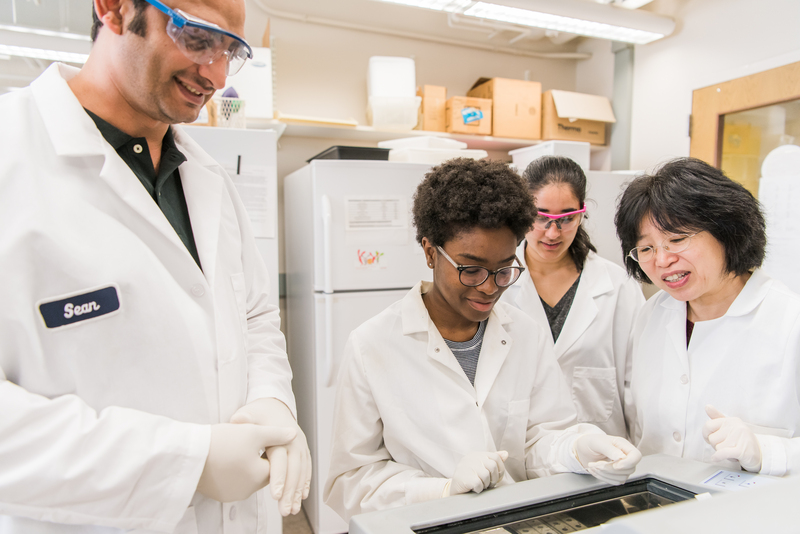 L-R: Ph.D. candidate Abdullah Al-Matrouk, Ashley Majekodunmi ’21, Avantika Krishna ’21, and Assoc. Prof. Weihong Lin, all of biological sciences, in Lin’s neurobiology lab. This year, UMBC jumped up 23 spots on the ranking of top undergraduate engineering programs at U.S. universities that offer doctoral degrees in engineering. UMBC now appears at #87 on the national list, tied with Texas Tech, George Washington University, and other notable programs. U.S. News also recognizes UMBC this year on its list of top national universities where students are most likely to encounter undergraduates from a different ethnic group than their own. UMBC appears alongside UC Berkeley and the University of Southern California. 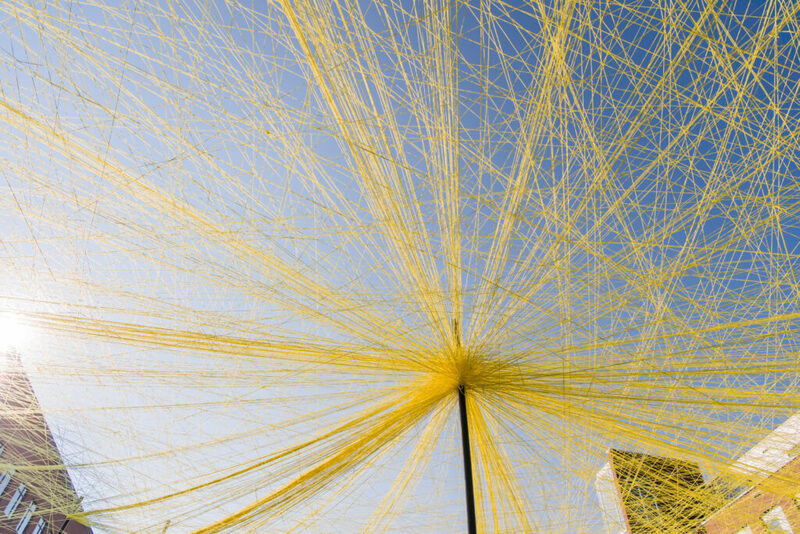 UNITY sculpture UMBC students created during Welcome Week 2018 to visualize what connects them as a community. The 2019 U.S. News rankings demonstrate the broader strength of Maryland’s public universities. The overall top public universities list includes both UMBC and the University of Maryland, College Park. The list of top regional universities (north) includes three University System of Maryland institutions: Towson University, Salisbury University, and Frostburg State University. See additional recent rankings stories on UMBC News. Featured image: UMBC students write on white boards during a group exercise. Photos by Marlayna Demond ‘11 for UMBC unless otherwise noted.